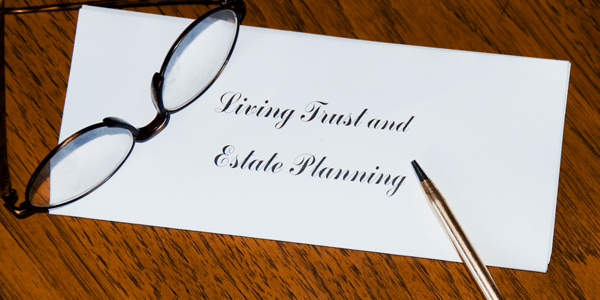 The living trust is becoming quite a popular estate planning strategy. It costs more than a will, but includes many features that are helpful during life and in your estate. Let's review some of the basic principles of the living trust. A trust is created by transferring property to a trustee. The trustee is required to follow the provisions of a written trust document. That document identifies the individuals who will receive the income. In most cases, there are reasons or grounds for invading the principal for the benefit of named income recipients. After a period of time, such as the life of the income recipients, the trust remainder is then distributed or held in trust for the benefit of other persons. Assume that Bill and Clara are married with three children. They create a living trust with themselves as the initial trustees. Bill and Clara transfer their home, mutual fund accounts and other assets into the trust. They will receive the income from the assets for their lifetime and have the ability to invade the trust or distribute assets back to themselves at any time. When they pass away, their selected successor trustee will manage the property and use it for the benefit of their three children. There are several steps in the process for Bill and Clara to create their trust. They will need to visit with their attorney and discuss the basic provisions for payment of income, invasion of principal, and distribution of their remainder. The remainder is the term to describe the value of the trust after both Bill and Clara pass away. After they have discussed the living trust provisions and their attorney has drafted the trust agreement, they will then sign the trust both as the grantors and as the initial trustees. In order to have property to manage, the next step is to actually fund the trust or transfer assets to it. The trust document will explain that Bill and Clara have the right to receive income for life from the trust. They can revoke the trust in whole or in part and transfer assets back to themselves as individuals. The trust will name one or more successor trustees. The successor will manage the trust if they are ill and are unable to manage or if they simply are no longer willing to undertake that responsibility. Finally, the trust document will explain who receives trust property after they pass away. Because Bill and Clara have the right to receive the income from the trust and also can revoke the trust, they will report all of the income on their personal IRS Form 1040. The IRS does not regard the living trust as a separate taxpayer. For tax purposes, living trust income, capital gains and deductions flow through to their personal tax return. For example, they may transfer their residence into the trust. If the residence has a mortgage, they will still be permitted to pay the mortgage and deduct the home mortgage interest on their tax return. In addition, if the trust transfers the property to a qualified exempt charity, Bill and Clara will be permitted to report the charitable deduction on their personal tax return. Each type of asset will need to be transferred into the trust. Legal title to real estate is transferred through a deed (typically a warranty or grant deed depending upon your state). Bill and Clara signed deeds that transferred their personal residence from themselves to the trust with them as trustees. The deeds were filed with the local county registrar of deeds. Stocks, bonds and mutual funds can be transferred into new accounts created by the trustee. In some cases, the financial services firm will require proof that you have the ability to transfer these items into the trust. Your attorney can create an "affidavit of trust" that you will sign. It will authorize the financial services company to create a new account for the trust and transfer the securities or mutual funds into that account. Your cars, furniture and other tangible personal property are frequently retained in your personal name rather than being transferred to the trust account. If you do transfer vehicles through your appropriate state title into the trust, then it will be necessary to be certain that any purchases or sales of vehicles in the future are correctly titled in the name of the trust. Because Bill and Clara have the right to receive trust income and the ability to invade the trust, it will be included in their estate. You may have heard that a living trust avoids probate. This is true. But, it is most important to realize that the federal government includes both your probate estate and other assets of which you have ownership in your taxable estate. The taxable estate includes your assets probated under your will, your IRA, most insurance policies and your living trust assets. Therefore, if you have a large estate your attorney will ensure that your planning avoids probate to save probate costs, but is also designed to reduce estate taxes on the total assets in your probate estate and living trust.